S U S A N F A N G IS A LONDON BASED CONCEPTUAL BRAND FOUNDED IN BY SUSAN YAN NAN FANG IN 2017 FOLLOWING HER EXPERIENCE AT CÉLINE, STELLA MCCARTNEY AND KEI KAGAMI. 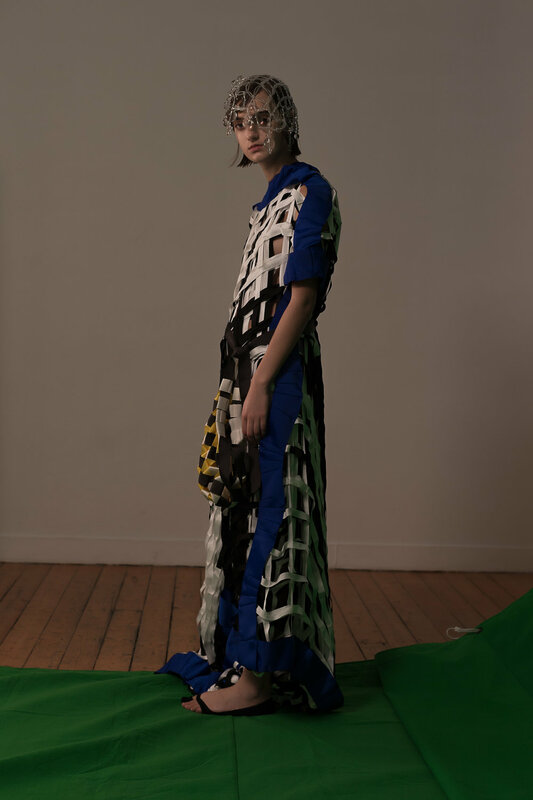 SUSAN GRADUATED FROM CENTRAL SAINT MARTINS IN 2015, HER BACHELOR COLLECTION ‘AIRFLIP’ THAT COMPOSED NOT ONLY COLOUR AND FORM BUT ALSO MOTION INTO WOMENSWEAR WAS WIDELY APPLAUDED IN THE MEDIA AND PRESS IN THE UK AND INTERNATIONALLY. SUSAN’S VISION IS TO INTRODUCE NEW POSSIBILITIES OF PERCEPTION BETWEEN THE HUMAN BODY AND DRESS, FOR THIS REASON, REFLECTIVE THOUGHTS OVER PERCEPTION OF BEAUTY AND THE INSTINCTIVE ALLURE OF NATURE- ITS PRECISE MATHEMATICAL FORMULA ARE EXPLORED TO DISSECT THE CONVENTIONAL SARTORIAL ADORNMENT AND LEADS TO DESIGN AND TEXTILE INNOVATION CONSISTING OF DIMENSIONAL COLOURS AND MIRAGE MOVEMENT, ULTIMATELY CREATING AN ETHEREAL ILLUSION. INSTEAD OF TREND OR STYLE OR EVEN AN AESTHETIC, SUSAN’S EVOLUTIONARY GARMENTS ARE ABLE TO SURPASS THE REALM OF DESIGN AND EMBODY THE CLASSIFICATION OF FINE ART.